The full title for the game should be “AaaaaAAaaaAAAaaAAAAaAAAAA!!! — A Reckless Disregard for Gravity”. That’s right, 25 As followed by a title that makes better sense. Didn’t want to put the full title for it might screw up the template somehow. 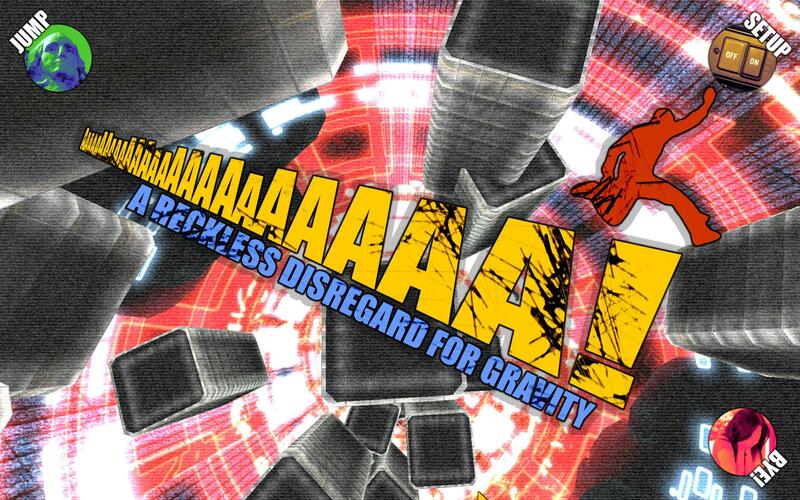 Anyways, A Reckless Disregard For Gravity (ARDFG for short) is a unique game developed by the indie developers Dejobaan. 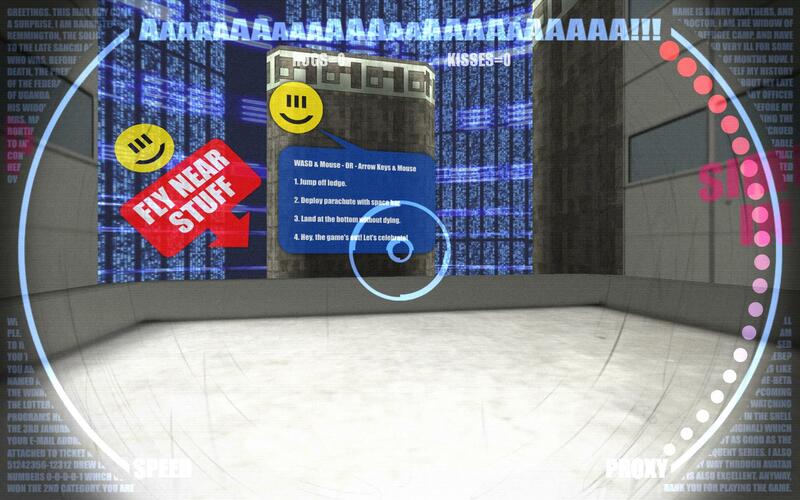 This game, inspired by the activity called BASE jumping, sets players in a situation like no other. You are basically jumping down from up above whether is it the mountain area or city like area, collecting points as you stay close to floating buildings or the walls. BASE jumping is an activity that employs a parachute and to jump from fixed objects, without the parachute being opened. BASE is an acronym itself that stands for Buildings, Antennas, Spans, Earth. You get the idea, jumping from high rise buildings, mountains etc. ARDFG, follows the activity very closely, and somehow emulates it taking away the danger and scariness of the real activity itself. This game is extremely simple, get the most points and move on. You get points from “Hugs” and “Kisses”. A “Hug” basically means that you stay close to a wall as you fall. A “Kiss” on the other hand can be acquired as soon as you go extremely close to a building, wall/side. 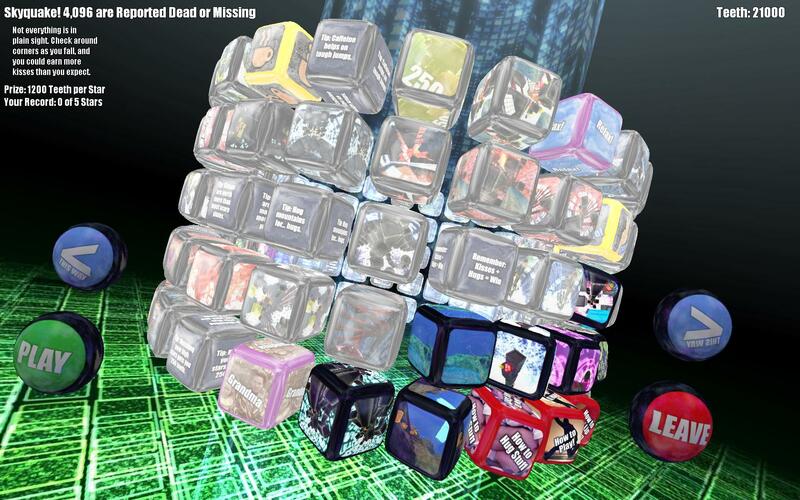 Combining both together, you try your very best to get the highest of score to get to the next stage. Each level is graded with stars. The maximum of 5 and minimum of 0. Each stars requires different amount of points. The higher your points, the more the stars. 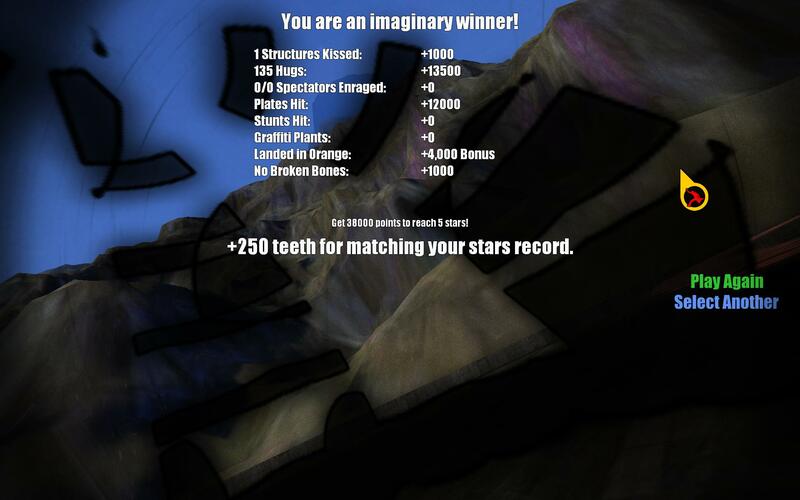 As you complete each level, “teeth” will be given to you. These are like tokens to unlock the next few levels and so on. There are other things that scores you points as you move on to the next few levels. For example hitting a flying bird gives you points and so on. A very simple game yet extremely addictive. The game never fails to amuse me as I jump from high above trying to get the highest score possible. Each level differs slightly in terms of the placement of the floating buildings etc. All of such adjustments are sufficient to maintain the freshness of the game and will highly never succeed to bore gamers. The music simple creates the atmosphere of exhilarating action while the simplistic graphics feels fantastic for such a situation. A fun and exciting game that will provide endless amount of entertainment. For just $15, it is definitely a game that one must get for not only is it unique and brings a whole new gameplay concept, it simply proves worthy of the price tag. Happy jumping!